The Clean Van Commitment is made up of 16 major UK fleet operators, including Tesco, Network Rail and United Utilities. Their initiative has first came about in the wake of the UK’s first Zero Emission Vehicle Summit last September. The government announced 106 million pounds in funding for low carbon technologies, matched by half a billion from businesses. Moreover, the potential Brexiteers were calling for Europe’s cooperation. But back to the logistics market and the Clean Van Commitment. 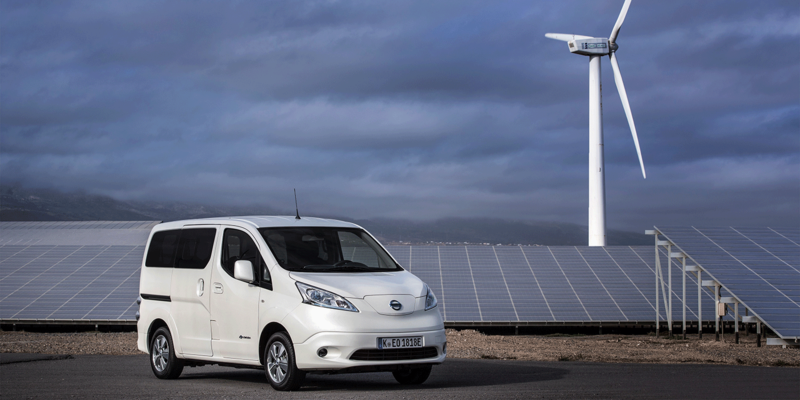 Once the founding fleet operators keep their promised targets for electrification, up to 18,000 diesel vans could be replaced by electric vehicles by 2028. Since Mitie has joined the cause, this number could see close to another 1,000 EVs by that date. So far the company, which runs over 3,500 compact vans and cars, ordered 400 electric vehicles. In addition, Mitie says it will run over 700 EVs by the end of 2020. 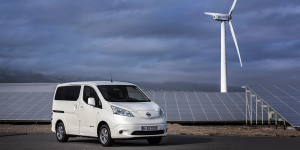 They will start by replacing their small diesel vans with 100 Nissan e-NV200 vans. However, in the press release they bemoan that there are currently “no workable solutions to replace larger vehicles”. Hence the members of the Clean Van Commitment want to signal to auto manufacturers that demand exists for the development of (larger) electric vans to replace diesel ones. Indeed even the launch of “homemade” LEVC electric van has been delayed recently. While the electric van is largely the same size as the Nissan, larger solutions such as the vans build by StreetScooter and Ford have yet to make it to Britain. They have received the approval for large scale production though, making export and fleet orders easier reportedly. Mitie has also been recognised as a Go Ultra Low company, which is jointly run by Government and vehicle manufacturers, and has 160 signatories. For smaller companies based in London it may be of interest that the Mayor’s office is ready to spend £23 million to help take the most polluting vans off the roads. The new scrappage scheme has been launched to prepare small businesses for the ultra-low emission zone (ULEZ) due to go into effect in April. The scheme will help London’s micro-businesses, defined as those with fewer than 10 employees, to switch to cleaner vans and electric vehicles.